Watanabe Ken will perform The King and I from the end of June in London. He gave us his views on his work. Don’t miss the opportunity to see one of the best Japanese actor on stage. This June, the musical The King and I, starring Kelli O’Hara and Watanabe Ken, will arrive in London following enormous success on Broadway. The production was lauded with critical acclaim, sweeping five Tony Awards in 2015. The musical is set in 1860s Bangkok, telling the story of Anna, a British schoolteacher, who teaches English to the wives and children of the King. The unusual, often turbulent relationship between the two is the heart of the story, as the King and Anna endeavour to compromise and smoothen the cultural clash. 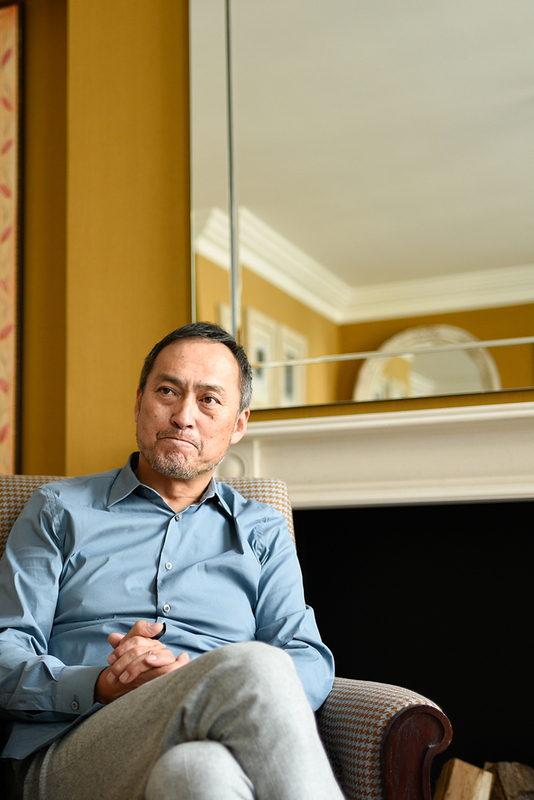 A successful Hollywood actor in his own right, Watanabe has starred in blockbuster films like The Last Samurai and Inception; and for his role as the King, he was the first Japanese actor to be nominated for Best Leading Actor in the prestigious Tony Awards. Watanabe stresses the importance of diversity as he touches upon race and representation, divulging how and why The King and I is relevant to modern audiences. Why did you decide to challenge yourself with a musical? 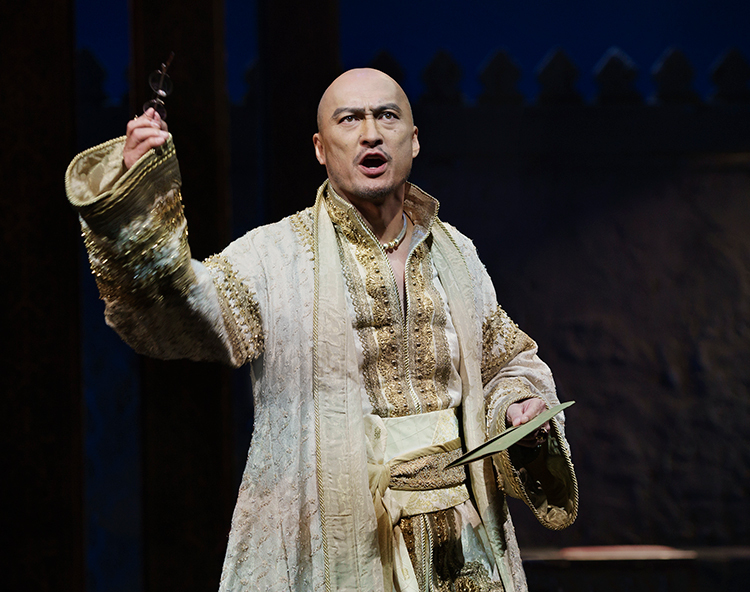 Watanabe Ken: Performing The King and I on Broadway was my first stage production in English. It was also my first time working on stage overseas. Of course, I had never done a musical prior to this. It was somewhat a reckless challenge, but Broadway is a very inspiring place for an actor, and so I thought that being able to star there, at the Lincoln Center Theater, is a once in a lifetime experience. So, that was definitely a big source of motivation. I: Have you come here to the West End with that same motivation? W.K. : From my early twenties, I had the chance to watch plays in the West End—and I never imagined that one day I would stand on the same stage. But, following my performance on Broadway, when asked whether I would also like to perform in the West End, I answered with a very straightforward yes. Compared to Hollywood movies, are musicals difficult? W.K. : Filming a movie and performing on stage are two completely different things. I actually started my acting career in theatre, so, I did have experience in how to evoke certain feelings on stage. But strangely, I never really enjoyed watching musicals in Japanese. I feel like musicals are all about performance—the songs and acting are two separate things . And so, when I did this musical in English, I suddenly realised that musicals were for English. I really felt this. In English, the singing falls so naturally and perfectly between the acting. Musicals are the perfect blend of arts. Do you think London audiences will react differently to New York audiences? W.K. : I hope so! Anna’s from England, so the cultural clash she feels might hit closer to home here in London. What does this play teach us about race? W.K. : This production debuted in 2015, and for a moment, like an illusion, it seemed like a time when borders were disappearing: the world seemed globalised and information was readily accessible everywhere. But in reality this was not the case: with the UK leaving the EU, with “America First”—I suppose that in 2015, the groundwork for all these movements was laid out, and it’s the same in Japan. A national, exclusive inwardness is now prevalent. So, for me, during a time like this when nations are prioritising themselves and their territories, I feel that this musical is very meaningful in terms of race, nations and even custom and cultures. It’s a story about overcoming different cultural obstacles and reaching mutual understanding and acceptance. I think that this is the theme of this musical. And now, it’s been three years since the musical’s debut and the world has only become even more exclusive and nationalised, and so I strongly feel that we live in a time when a story like this is necessary. The King and I is perfect for this day and age. The King himself is not simply a compelling and powerful man but a King who considers the dilemma of how his own country can confront the rising Western culture. In order for the next generation to come, he, figuratively, must choose death. Without the death of the old generation, the new generation cannot come. So, through the King, I felt the despondency and melancholy of such dilemmas. For me, the original themes of Rodger and Hammerstein’s King and I are even more poignant now. In Japan, I am currently starring in the year-long historical TV drama, Segodon, and by a strange coincidence the drama is set in the same era as The King and I. It’s about the last years of the Edo period and the ending of national isolation, which eventually leads to the Meiji Restoration. At that time, due to new external pressures, the Japanese had to consider what would now be best for their country—it is the same for The King and I. I think this is an interesting correlation. Watanabe Ken is ready for performing in London. You’ve starred in Hollywood films, you’ve done Broadway, and now you’re here to perform in the West End. What would you say to aspiring Japanese actors who want to follow in your footsteps? W.K. : Everyone says that they want to go to Hollywood. It’s very rare to hear Japanese actors say they want to perform on Broadway or the West End. There are many Japanese actors and actresses who are doing their absolute best in Broadway, but at the end of the day, there aren’t many opportunities for Asians. So, when The King and I was announced, Asian actors across America flooded in to audition. The same thing happens with Miss Saigon. So, opportunities are definitely lacking. So, when one of the Asian- American singers who performed alongside me in The King and I got the principal part in The Phantom of the Opera, I was very happy. She was the first Asian woman to be cast in the role of Christine. Not only as a Japanese actor, but as her former co-star and a fellow Asian, I was very happy for her. I read in a blog that seeing your performance was eye-opening as you conveyed a specific and unique passion on stage. K.W: That’s what performance is about. Even if you can’t speak English very well, at a performance you will be able to feel a certain vibe and energy. I’m different to all the previous Kings, as I am the first Asian actor for the role. So, I hope that not only Asians, but also people from all different backgrounds will be able to appreciate that. What scene is your favourite? W.K. : A lot of people ask me what scenes to especially look out for, but the story comes together by persevering through many peaks: these are not always happy moments, such as when Anna and I fight, or the scenes when I’m with the children or all alone. Ultimately, the musical is comprised of many different sequences. I will be happy if the audience are whistling Shall We Dance on their way home. The production run of The King and I has been extended here in London. There must be a lot of anticipation. W.K. : The production falls neatly during the summer holidays. It’s a really wonderful company— and of course, the London cast is very diverse, with actors and actresses from Belgium, Holland and so forth—actors from all different nationalities and backgrounds will be performing. Kelli O’Hara, Ruthie Ann Miles and I are part of the original cast, and we will all be performing this summer—that’s exciting in itself, but there will be a different chemistry with the different actors. And Bartlett Sher is a wonderful director. After the musical, what will be your next challenge? W.K. :How do I say this… well, I can’t really see that far ahead in the future! I just knock down the walls that are ahead of me. I’ve ended up here by doing just that, by taking one challenge at a time. I look at the ‘now’, the present—I’m only thinking of all the training that I need to do in the next three months, and the mind-frame I need in order to succeed here in London. Unity with both his co-stars and audience is important to Watanabe, and this perhaps reflects his wish for a more accepting society that embraces diversity. It seems poignant that many of his characters traverse unstable times of historical change. By confronting the past, Watanabe seems to return to the present with a greater sense of understanding, applying the lessons learnt to our current society. As Watanabe told us, musical performances are imbued with a unique transient energy and magic that can only be experienced in the moment. The King and I is a spectacular production. Songs like the cheery Getting to Know You and the lavish Shall We Dance will put a smile on anyone’s face, even in these times of uncertainty. So, don’t miss out— go and experience Watanabe Ken and his costars this summer!